Let’s start with the basics: What is a pop-up? 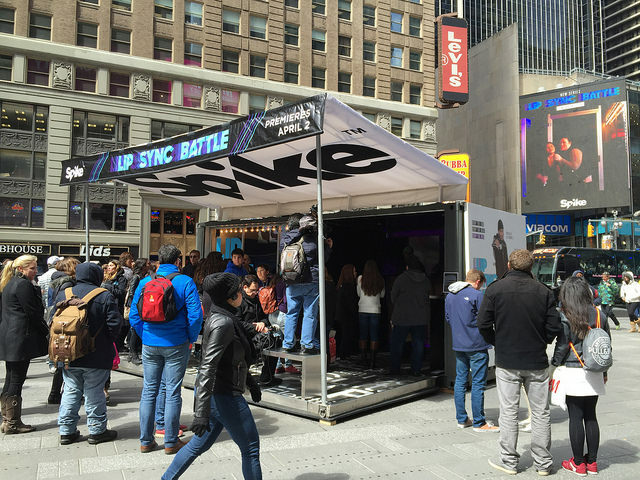 Pop-ups were born from necessity and are usually realized as tents haphazardly sprung up in a parking lot with a few card tables displaying product. Minimal thought is given to brand engagement, to experience, or even to repeated business. Which brings us to the more important question, what does a good pop-up look like? What is a good pop-up? 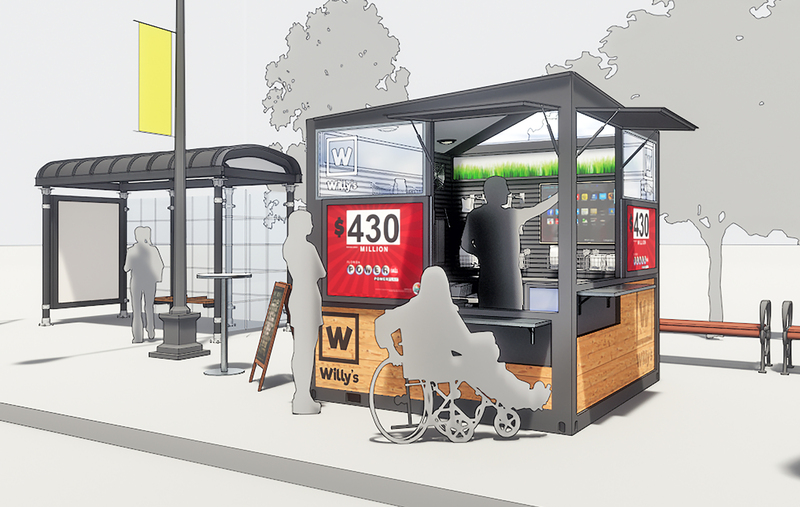 Well managed pop-ups are thoughtfully designed spaces, that allow for customers to interact with merchandise, try on options, and develop a connection with the brand. Pop-ups should be beautiful, mobile extensions of your brand. They should house remarkable experiences for customers, influencers, and employees. As previously mentioned, the temporary nature of pop-up shops is baked right into the model. Temporary opportunities are often perceived as scarce and therefore develop a sense of urgency in a customer base. That’s why big sales have a time limit. Customers need to come in fast, regardless of the obstacles, to take advantage of the sale. Pop-ups drive a similar phenomenon but instead of saving money, customers save themselves from FOMO (the fear of missing out). When we talk about inexpensive options, we’re typically talking about the total cost of ownership. 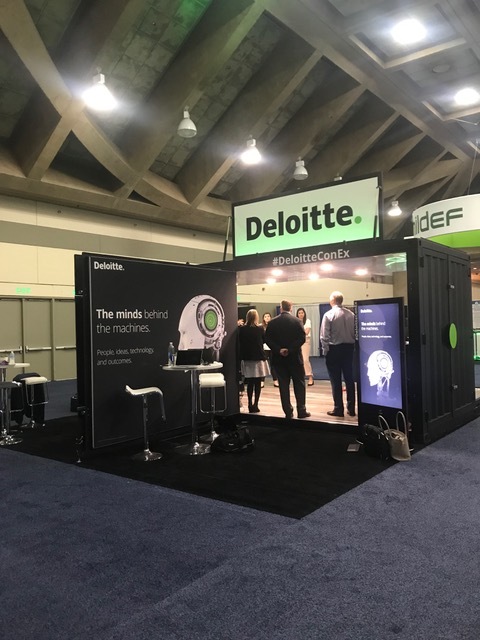 The temporary nature of a pop-up means that you aren’t paying the 10-year lease agreements common for most brick-and-mortar retailers, you aren’t required to customize the space, and you aren’t tied down to a single location. 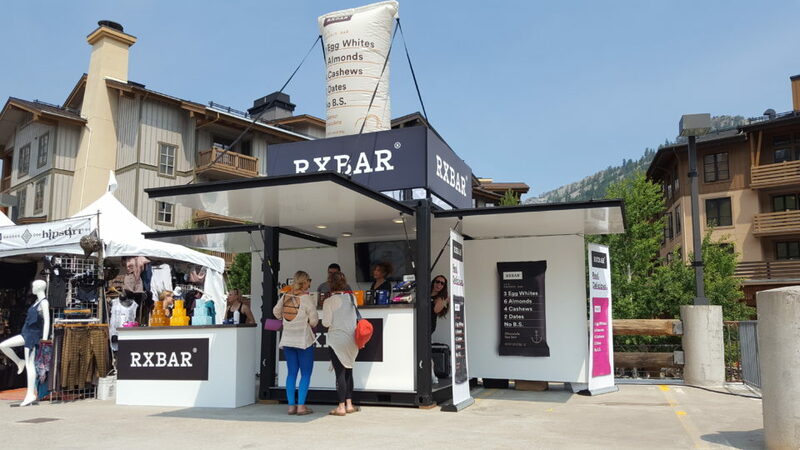 Beyond that, pop-ups are typically custom designs or DIY projects which gives an entrepreneur or brand much more flexibility to play with design, materials, and layout to value-engineer a budget. Coffee Shop: With the power to move location, owners are inspired to introduce their new business to many markets and cultivate a breadth of customers around the area. Specialty Retail: These are shops that focus on a specific product category. Occasionally, these shops will be free-standing, but usually, they appear as part of a larger shopping center as a kiosk, booth, or pop-up. 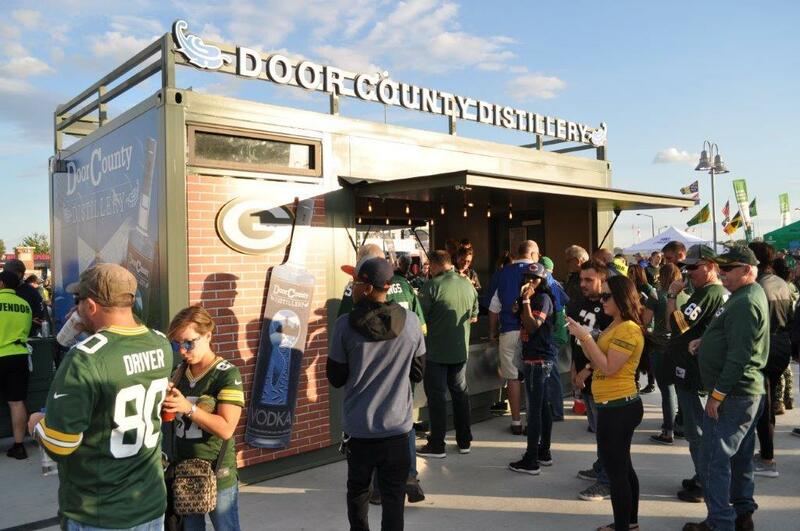 Mobile Bar/ Taphouse: Event venues, particularly those that focus on temporary activations, don’t keep bars open year-round. They need short-term solutions that can be set-up and broken down easily, in a few hours. Convenience Store: Take advantage of mobility by positioning your shop near events or community gathering places where people might need to stop by for a quick refresh. Mobile Showroom: Instead of bagging up the item and taking it home right there, their order is boxed up and mailed, sometimes delivered that same day! Before you start, have a budget in mind. Plan based on those constraints. Do not forget this key line item. Without logistics, your store (if you’ve chosen a mobile on-demand design), your inventory, and any branding won’t be at the location. You can save some money by utilizing your own staff to set up and dismantle your store, but without experience, their risk for damaging inventory and signage, or hurting themselves is significantly higher. So, make sure there’s room in your budget for professional logisticians to handle the heavy lifting. Based on how many activations you’re planning, this number has a little more flexibility, between 10% and 20% of your budget. 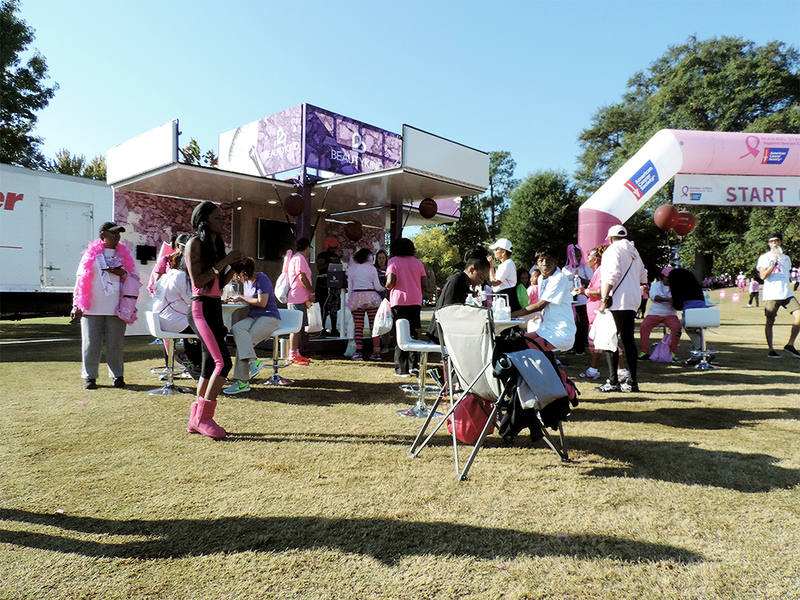 Your physical store is the centerpiece of your pop-up campaign. During the design process, you’ll see a variety of solutions based on your goal and budget. To streamline this process for your team and for your designer, draft a priority list of features you want and the ones you need (also called a creative brief). You’ll likely find that mobile solutions will allow you to be versatile in your store layouts and designs and you can adjust on the fly depending on the size of the space. Then determine the lifetime cost of your store (how many years, weeks, months do you plan to use it?). The average half-life of a regularly activated on-demand retail space is about 3.5 years. Consider that the mobile solution may provide a 7-year depreciating tax life, which could decrease your total cost of ownership and/or expense and allow you to realize a quicker ROI. Does it make more sense than renting a similar option or buying property? That will depend on your overall goals and budget. … but, these figures depend largely on your individual needs. Some funds may be allocated to a line item that is more important to you. We urge you to reserve the 5% miscellaneous costs for emergencies. You never know what may come up during your on-demand retail season. It’s best to have a little ‘oops’ money set aside. When we talk about strategy, we mean a written-down account of your offering, the offering’s value propositions, who your customers are, and what channels you use to connect with them (channel). This process isn’t unique to developing pop-ups. Nonetheless, it will inform how you proceed through the rest of this process. To help you understand what we mean and get some ideas for your own pop-up’s we’ll be approaching the remainder of this article using a fictional company, Confused Tattoos, to illustrate our points. Below is a brief outline of Confused Tattoo’s strategy. Company Name: Confused Tattoos: It’s not what you think. Value Propositions: Incorporates mixed materials (rhinestones, feathers, fabric, etc) into custom-designed temporary tattoos; Lasts 3-7 days, just long enough to outlast a music festival or long-format event; Waterproof; fun for all ages. Customers: 10-30-year-olds looking for a fun way to express themselves without the commitment of a permanent tattoo. As you might imagine, Boxman Studios’ two most frequented tour stops are New York City and Los Angeles. Although pop-ups aren’t restricted to these two cities, they offer brands the three most important features in any activation space density, accessibility, and opportunity. (Amortized Cost of Large Assets + Variable Event Costs)/ $0.10 = Total number of event attendees. Amortized Cost of Large Asset = $20,834. In addition to the space, the variable event costs must be considered in your Return on Investment calculation. Variable costs will typically change from event to event based on your programming, the technology you use, the price of the space you’re leasing, how many activators/ brand ambassadors you’ll need technology packages, and any other expenses incurred with the planning and execution of the event. Confused Tattoos has allocated $40,000 for each of their 12 events. In this ROI formula, $0.10 is used as a suggested value for cost per impression. The standard CPM (cost per thousand impressions) online is approximately $100. So, $0.10 represents the cost of a single impression online. Ultimately, it’s up to you to determine how much value you place on impressions vs. customer acquisitions vs. marketing opportunity. Please feel free to adjust the number to best fit your business model. Under these circumstances, the Confused Tattoos should activate at events with at least 608,340 attendees across the duration of the event. Meaning, they should not expect 608,340 per day. If the event is a week, you should divide the daily attendees by the duration of the event. Confused Tattoos will be at a 4-day event, so they should choose an event that has approximately 152,085 attendees per day. Alternatively, they may want to adjust how much value they place on an impression or if that is the best indicator of a successful event. Accessibility refers to the logistics of getting to and staying in a space. You want to choose a location where people will be able to physically approach you (so VIP only areas aren’t ideal), but also where the community and environment make you approachable (so avoid places where people are there for a specific, unpleasant purpose). A quality activation location will be safe, connected, welcoming, and allow for authentic experiences. Consider how the physical space can bring people together, to manifest community in a very literal sense. When we combine the physicality of a space, with the marketing prowess of developing feelings of membership in a brand’s community, you get what we call Third Placemaking. This is the paradigm by which commerce and community become synonymous. For Confused Tattoos, this means they’ll want to choose a space (if the option is available to them) where people come to hang out for a while. The tattoos take some time to create and set, so choosing a location where screens of the event (concert etc) are visible, where attendees may still hear the music, and where attendees might go naturally to prepare their look for the day like locker rooms or near a large bank of mirrors. Confused Tattoos already knows they have the perfect product for music festivals. The festival scene is ripe for self-expression, wild fashions, and lots of free time to explore the grounds. Alternatively, Confused Tattoos may not find as much opportunity to do business at an accounting seminar, where people are formally dressed, adhere to a tight schedule, and want to be perceived professionally. 1.Size. Inspiration can come from anywhere, and everyone knows that a picture is worth a thousand words. Pinterest has a massive, varied inventory of photos. Accessibility. Access Pinterest from any computer or smart phone that connects to the Internet. Abstract. Brands and agencies can create whole boards based on a theme, tone, or mood they want to capture. Concrete. You can also create lists of tangible features, such as furnishings, fixtures, electronics, and lighting to reinforce your designs. Free. Anyone can sign up for a Pinterest account at no cost. Whether you prepare a board before or after your initial contact with the designer, it can be a useful and fun way to collaborate on a project. Some pictures get tossed, others incorporated, but they all provide insight and direction into your goals. Brand Statement: Confused Tattoos is a lifestyle brand that provides custom-designed, mixed material, temporary tattoos for women and men. Campaign Outline: Confused Tattoos would like to develop an experiential pop-up shop where 3 tattoo artists will be taking clients for 3-hour shifts during outdoor music festivals. The design should include a reception and consultation area where clients discuss designs with their artist and pre-pay for their tattoo while the artist sets up his/ her area with the materials needed. The space should have a cool and airy- feel like an oasis or place to escape from the congested festival grounds, without feeling detached from the rest of the event. We would also like to include some experiential programming that can keep clients entertained while they wait and allow us to grow our email list where our clients and brand advocates can get discounts, updates, free designs, and news about our travel schedule. Mandatory Elements: minimum of 6 chairs for tattoo artists and clients, a sanitary station for cleaning tools in between clients, branding/ signage with wayfinding, a visual way to communicate what Confused Tattoos is and how we work. Plumbing or a portable sink, for the sanitization station. Modular walls that allow them to create different sized/ varying quantity of rooms for tattoo artists to work with clients. The space needs to have a large, blank wall that would allow for graphics to communicate the offering and process to perspective clients. The design should integrate lots of natural light and neutral colors to achieve the oasis feel Confused Tattoos is looking to achieve. Include a computer or POS system to collect email addresses and scan credit cards. What are some design options for a pop-up shipping container? Should you buy or lease your pop-up? 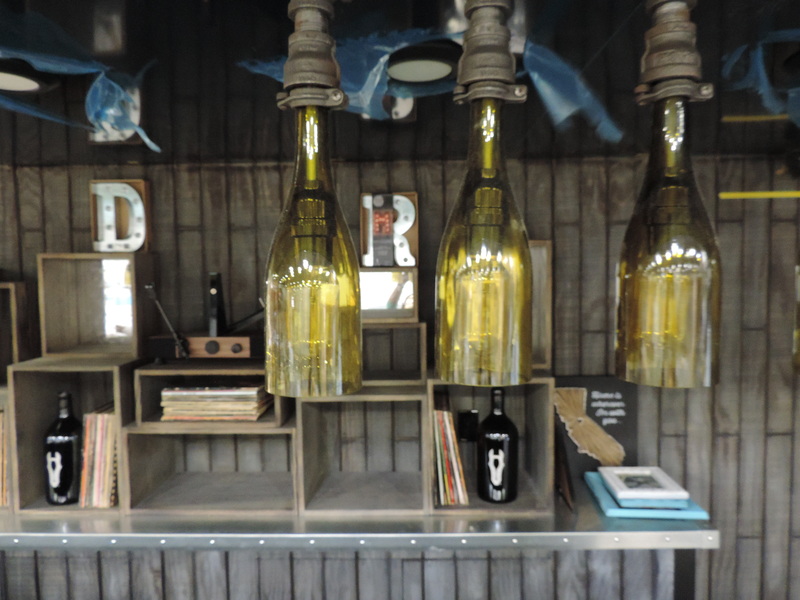 When you purchase your shipping container pop-up, we build it to your exact specifications. If you need a highly specialized space, such as a multi-container structure or intricate luxury finish packages, our purchasing option is a more streamlined and cost-effective way to approach the project. If you permanently modify one of our existing assets, you may end up paying considerably more for the container than if you’d built it from scratch. There are no strict timelines for owning vs. renting, but for long-term campaigns, buying can make more financial sense. For a yearlong tour, the cost of renting often exceeds that of owning. 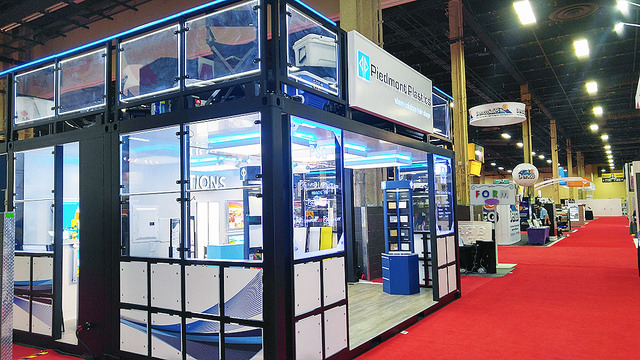 After the close of a tour, Boxman Studios can store your container or do an “upfit” so it can keep evolving and serving your needs in new, creative ways. By utilizing Boxman Studios’ product, our clients can receive tax benefits. Based on IRS Publication 946, container structures are categorized as 7-year tax life property. Specifically, the code states, “Any property that does not have a class life and has not been designated by law as being in any other class.” This means that modular units are not called out in the IRS Publication 946, therefore it defaults to a 7-year property, which allows you to depreciate the units over a 7-year tax life. Commercial traditional stick-built construction in IRS Publication 4562 is classified as nonresidential real property, which has a depreciation period of 39 years. 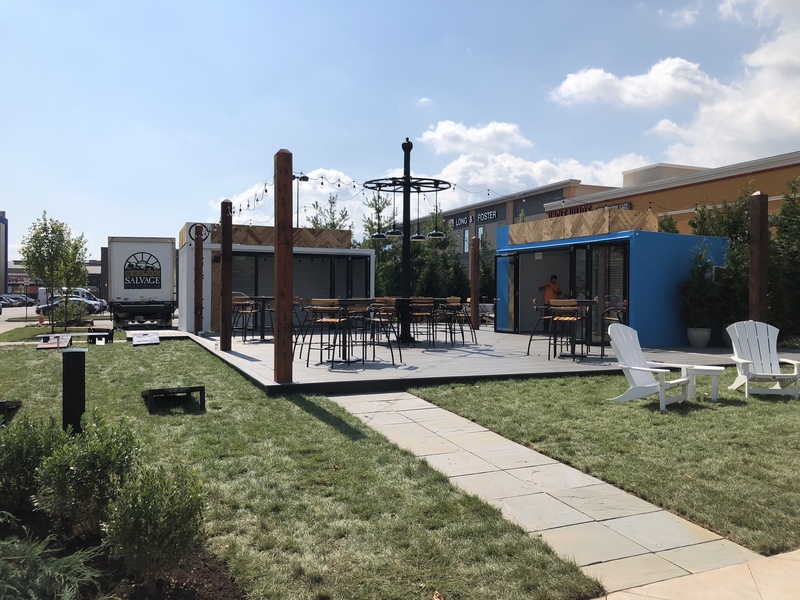 If you are considering a custom build and have never experienced a shipping container activation or installation before, renting can give you the opportunity to test and determine what works best for your brand goals. Maybe you learn that your audience didn’t use the indoor lounge but loved the outdoor seating and awnings. Next time, you can incorporate what worked, and leave out what didn’t. Or tell us, and we can fix the layout, programming, or branding immediately, so you can continue your tour with a container that meets your needs. “Rental” doesn’t mean off-the-shelf. Ideal for Shorter Or One-Time Events. For some events, buying may not be the best financial or logistical choice. If you’re planning on utilizing the structure once a year, renting may be the most convenient way to create a brand experience for your audience. With our custom leases, you can have the same level of flexibility without needing to store your space for the other 51 weeks out of the year. Many companies prefer to maintain a lean inventory and keep their overhead low to reduce tax or insurance implications. In this case, renting helps you manage your inventory in a way that is more advantageous. When our customers purchase custom-built shipping containers, they’ll typically use them regularly throughout the year. 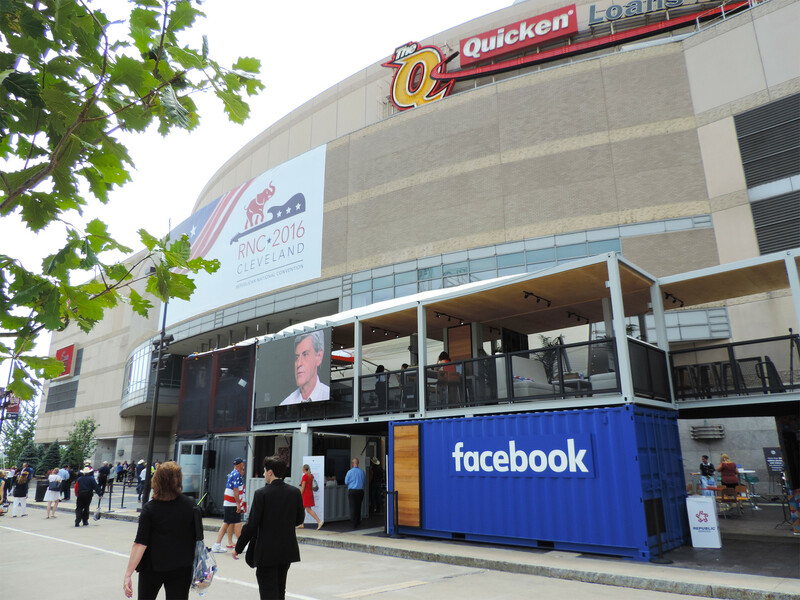 Occasionally, they may have a show or venue where they can utilize a bigger footprint, so they choose to supplement their existing assets with rental units to ensure that they make the most impressive impact for those events. 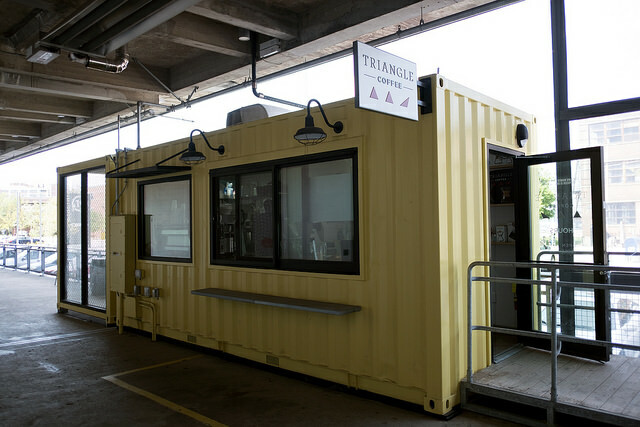 Planning a shipping container pop-up can be overwhelming. Boxman Studios is a team of designers, welders, event professionals, activators, and everything in between to help make this process completely turnkey. For more information about pop-up shops, read “4 Benefits of Pop-Up Retail Space.” Or, if you’re curious about what we can provide, reach out to us via our contact form.